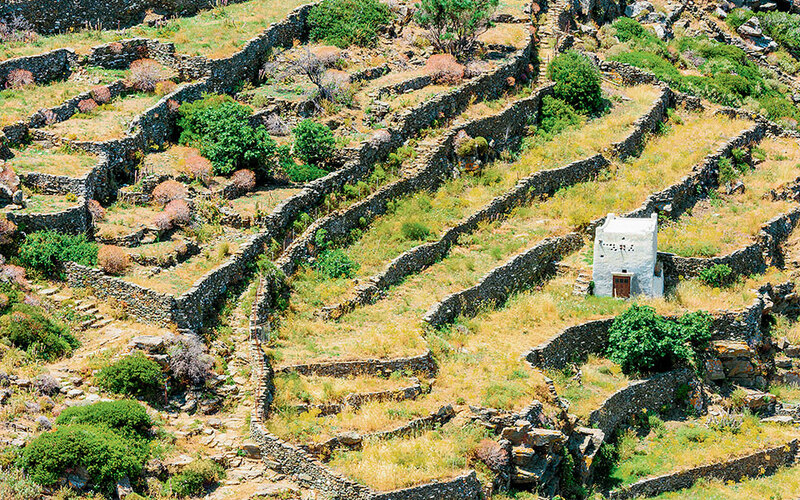 Made from the simplest of materials following techniques passed down through the centuries, the walls that have shaped Greece's landscapes are true treasures. 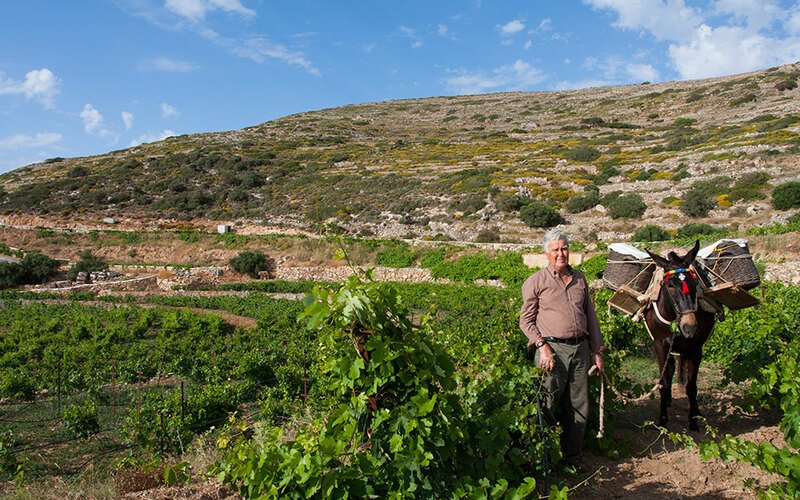 The local names for them vary from region to region, but Greece’s drystone walls all share common elements. These masterpieces of folk architecture, crafted using the simplest of materials, invariably enrich the environment, turning rugged landscapes into cultivatable, fertile land. While little publicized, the drystone walls that are so characteristic of the country’s landscape have attracted scientific study for many years. 16 international conferences focusing on drystone building methods have been held from 1987 until today, with the architect Georgios Petrakis as a driving force. And in 1997 the International Scientific Society for the Interdisciplinary Study of Drystone (SPS) was established. In 2015, drystone construction was included in the Ministry of Culture’s national catalogue of Modern Cultural and Intangible Cultural Heritage. Subsequently Greece, in cooperation with Cyprus, France, Switzerland, Spain, Italy, Croatia and Slovenia, submitted a proposal to UNESCO to inscribe the art of drystone walling in the Representative List of the Intangible Cultural Heritage of Humanity – a proposal which was approved last November. Most commonly associated in Greece with the Cyclades, drystone walls are humble constructions with multiple benefits. Most commonly they form retaining walls allowing for hilly landscapes to be terraced; the resulting narrow, level expanses that resemble steps from afar can then be cultivated. Without the drystone walls the available arable land would be much reduced making survival difficult for local populations. Their method of construction is what sets them apart: as the name implies, drystone walls are made from stones stacked on top of each other without any mortar to bind them – their stability comes from the method with which the stones are overlaid and wedged together. These walls help protect against flooding, as the terraced slopes absorb rain and release it gradually, as well as against soil erosion. At the same time they serve to bolster biodiversity, providing habitats for reptiles and insects. In Greece the technique is known as “en xiro” and the stones used are gathered from the immediate environment. Alongside the retaining walls, other drystone structures are often found, such as small huts used as storehouses or shelters by farmers. A characteristic example are the mitata of Crete, often used by shepherds to store cheese. Drystone walls also form the outer perimeter of many farms, while the method has also been used to build olive mills, water mills, steps, paved paths, bee hives, threshing floors, wine presses, wells and even bridges. The craft which is passed on from generation to generation, the shaping of the landscapes over time, their environmental benefits as well as their social aspects are all reasons why UNESCO embraced them. 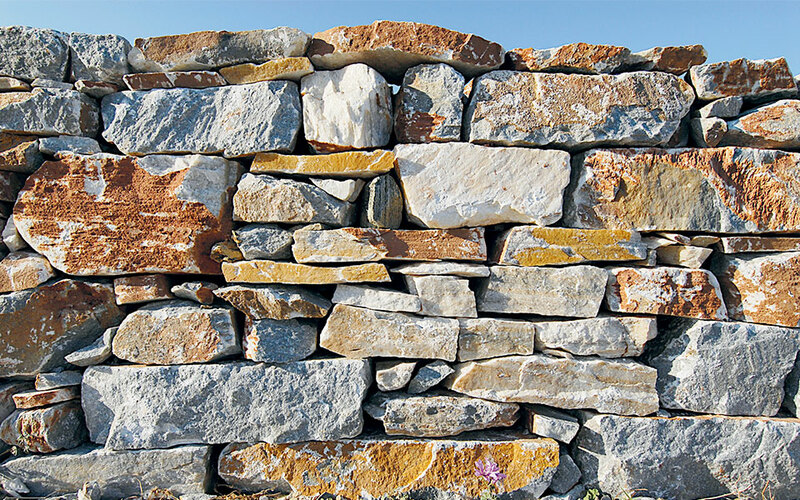 “In Greece drystone structures are relatively under appreciated. Internationally it is at another level. Their recognition by UNESCO, I believe, will help mobilize Greeks who, until now had not appreciated their importance. Already public awareness campaigns have been launched. 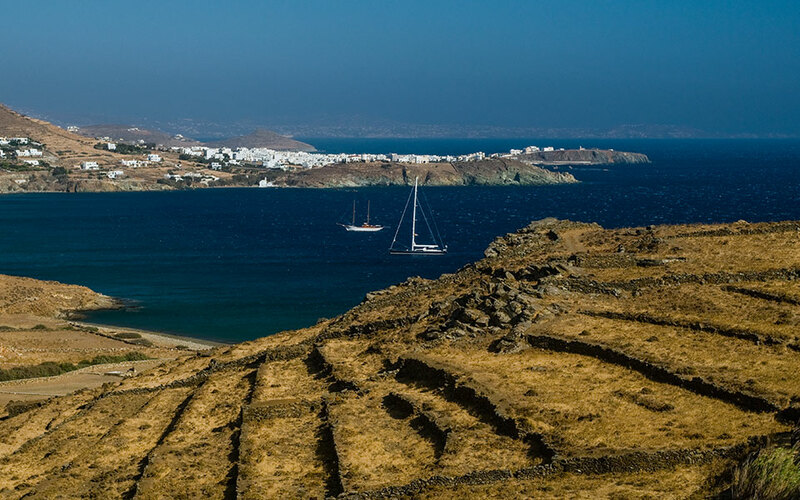 The craft, in any case, is tied to the protection of the environment,” says Ioulia Papaeftychiou, the vice chairman of the SPS and head of the Greece-Aegean department. While the use and construction of drystone walls has shrunk worryingly as they demand manual labour both in their construction and afterwards, as modern agricultural machinery cannot be used on the terraces – their value is unquestionable. It appears that the same technique has been used since prehistoric times – and not only in Greece. From the Balkans and other Mediterranean countries to the rice fields of Indonesia and cultivated land in Ethiopia, the craft is widespread. 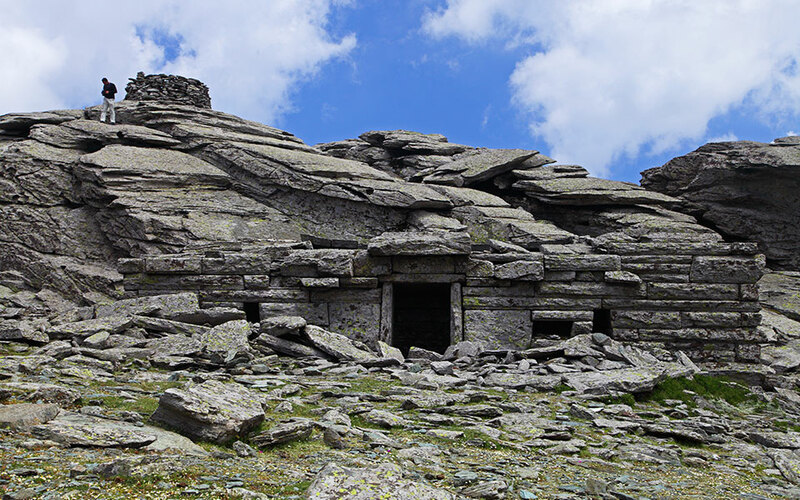 Among the oldest drystone structures are the so-called “drakospita” (dragon houses) which were used as places of worship or inhabitation by quarry workers, but these belong in the category of monuments. 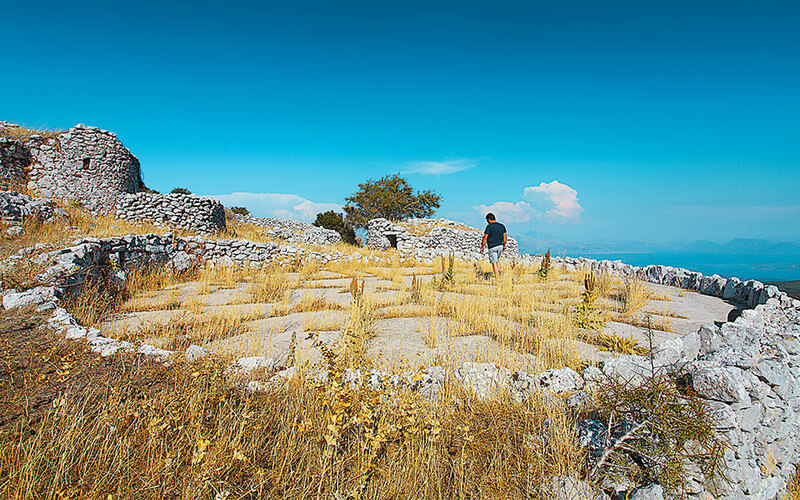 Some drystone agricultural structures on the islands and on Crete have tentatively been dated to Roman times, although more certain methods date the oldest to Venetian times. “It is not by chance that it is such an age-old technique. That’s why it must be preserved. With the use of drystone walls the abandonment of villages – which is already apparent in many places of Greece – can be averted. If the drystone walls continue to be abandoned, the land will stop producing new growth and that will be an environmental disaster. Additionally they have historic, cultural, archaeological, sociological, architectural, ethnological, agricultural and economic value. In many areas where young people are returning and becoming active in farming the drystone walls are being restored – they are ideal for organic crops. That is why the craft itself must start being taught,” Papaeftychiou states. Drystone walls are built according to the slope of the ground, the orientation of the slope, and the quality of the soil and rock. Craftsmen take into account the wind, sun and rain. What is valuable with drystone techniques, however, is that at the same time the stones can move. This means that if it is damaged in one spot, it won’t bring down the entire structure as with conventional walls, and it will be easy to repair. The tiniest gap dissipates the force,” Tolis Nakos says, concluding, “It is very important that everything can be done with simple tools. And you can make everything from simple separating walls to entire houses. The old craftsmen even made a tunnel. There is a photograph of it in an old cafe in the village of Pyrsogianni in Ioannina.